We’re hugely excited to have received funding to work with CATERed, our school meals provider, to reach disadvantaged children and families over the summer. We’re looking to combat holiday hunger and introduce new audiences to library services through fun and cultural activities. 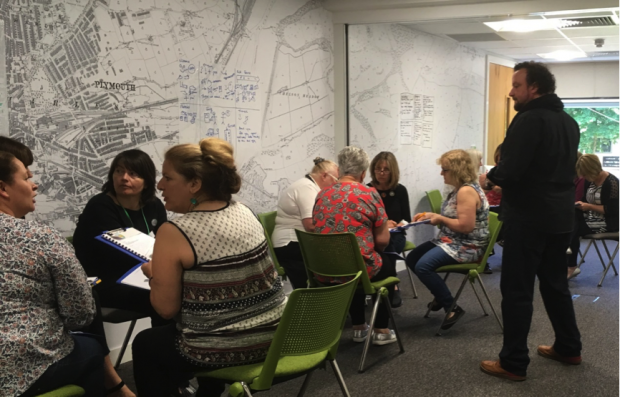 Holiday hunger is a real issue for many families across Plymouth and, for the last two years, CATERed have delivered their Big Summer Food tour, giving out free, healthy bagged meals in parks and other locations throughout August. This year, our library staff and volunteers will be joining CATERed at outreach locations every Tuesday and Thursday throughout August. We’ll be promoting library services, joining new members and signing children up to the Summer Reading Challenge. 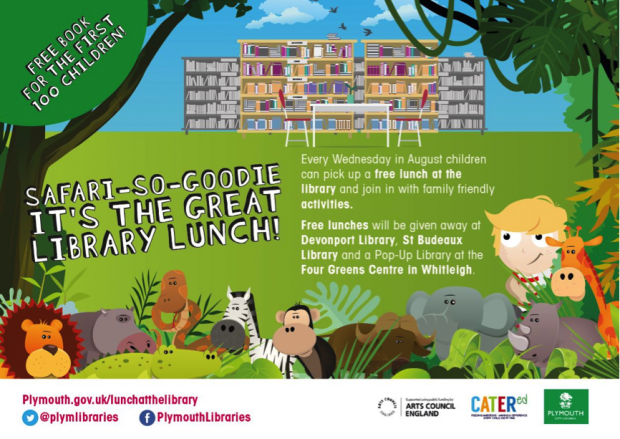 Each Wednesday in August, we’ll be hosting ‘Lunch at the Library’ in Devonport Library, St Budeaux Library and a ‘pop-up’ library in Whitleigh (an area that currently has no library provision). We’re specifically targeting these places as areas of high deprivation and hope that ‘hard to reach’ children and their families will come for the food and stay for the fun! We’ve been busy organising an ambitious range of events for our ‘Lunch at the Library’ Wednesdays based around the Animal Agents theme. We’re working in partnership with the National Marine Aquarium, Dartmoor Zoo, authors Tom Palmer and Emma Carlisle, Plymouth Music Zone and the Theatre Royal to name but a few. In addition to these events, we’ll also be offering a full range of library services including crafts, digital making, coding, gadget sessions and, of course, book lending and the Summer Reading Challenge. For those who haven’t used libraries before or haven’t visited in a while, we aim to dispel some of the myths around what a library service is and what we have to offer. ‘Lunch at the Library’ is a fantastic opportunity for us to attract new audiences, but (and this is a big but) we’ll only fulfil the potential of the project if we make every interaction with our new audience count. We want repeat visits, to upsell our full library offer, to promote and market that we have something for everyone and that we’re just all round awesome! With this in mind, we’ve been working with CREW training to develop and deliver a training programme for library staff focused on visitor engagement. 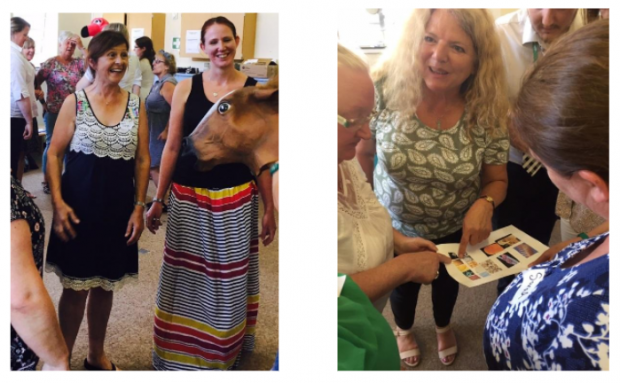 Many of the library team have just completed a full-on but fun fortnight learning skills to ensure the success of our summer project, ranging from one to one communication to delivering talks and presentations to large groups. We’re now busy finalising our promotional material and marketing plan. We’ll be attending school assemblies across Plymouth to promote ‘Lunch at the Library’, specifically targeting those schools in areas of deprivation and with previously poor take-up of the Summer Reading Challenge. Look out for our next blogpost in August!